Virtual reality technology is quickly advancing. From box-like machines a few decades ago, then a jump to virtual reality gaming headsets and cutting-edge surgical simulations for doctors. 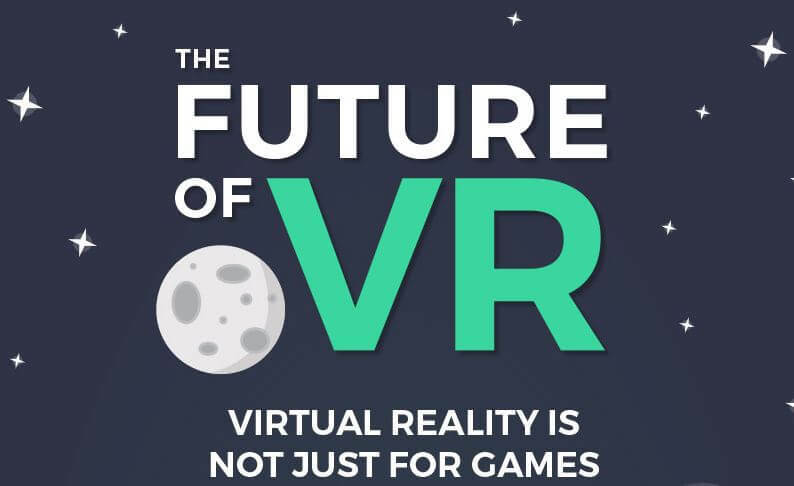 Virtual reality is moving away from just a gaming sector and becoming augmented reality as well as the virtual environment. The uses and potential uses of virtual reality are growing each day. Virtual reality in the future could be almost anything we could imagine. Undoubtedly, the virtual reality landscape is changing a lot. What before was associated with just gaming, nowadays it supports medicine, education and many other industries, where taking a risk used to mean putting humans in danger. Virtual reality, hower allows us to engage in hazardous activities, e.g. complicated surgeries, but it also gives us a change of doing it in a safe VR environment. You can try virtual reality at home, or on the move, with a smartphone headset like Google Cardboard, and your phone. If you want to get a little more serious with your virtual experience, headsets for computers, or games consoles, start from around $349. Your virtual reality experience at home with your PC or console can including gaming, socialising, movie watching, or music. You can even travel the world in complete 360 with virtual reality, exploring every landmark, museum, or even planets like Mars. 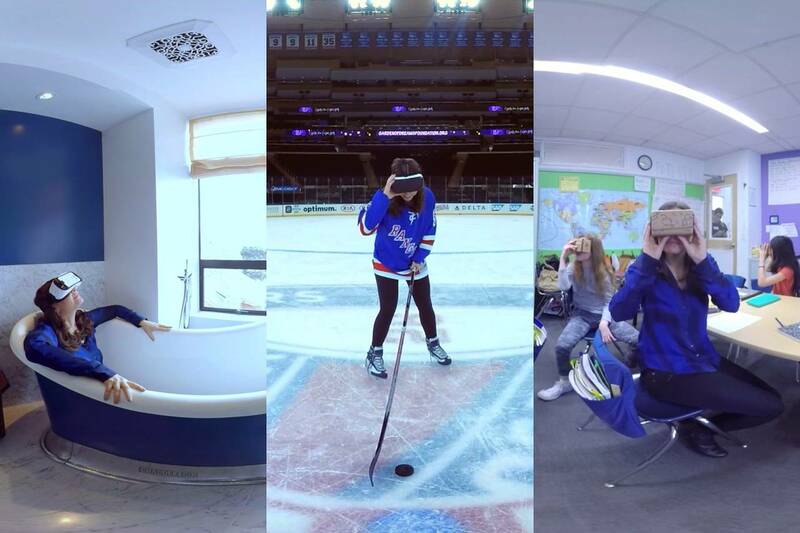 Many schools are beginning to include virtual reality experiences in their curriculums. Though still more a one-off experience, than a day to day inclusion for schools. At home or school, virtual reality headsets are excellent for a complete immersion in a topic, and lots of engagement to aid learning. Students can experience history, explore geography, and even do scientific modelling in powerful 3D. Healthcare has been quick to adopt virtual reality. We see mainstream use in anything from training surgeons, nurses, and caregivers right through to pain and illness management. There is so much development right now in applications to understand, analyse, and treat psychological conditions. The first virtual reality treatments include a technique for improving amblyopia or “lazy eye”. Virtual Reality at Work and in Engineering. Flight simulators and astronaut training programs have been conducted in virtual reality for some years. The military use virtual reality to simulate potential scenarios for training. Increasingly smaller organisations and mainstream businesses are using virtual reality for computer-aided design (CAD), product development, and, of course, more training. We’ve talked extensively in previous posts about the use of virtual reality today, but what will we be doing with virtual reality in the future? How is it going to affect our everyday life? One question raised for the future use of virtual reality is whether we will see more augmented reality in our daily lives. This can be a combination of virtual reality and/or an overlay of virtual reality onto what we can experience around us. Think Google Glass for this, so footsteps only we can see on the road in front of us to help navigate. Or, a virtual assistant who becomes a virtual tour guide as we visit a new place, a famous building, or an art gallery. Mixed reality or hybrid reality describes a merging of real and virtual environments. In mixed reality, both physical and digital objects would exist, and interact in real time. It’s a more complicated technology, but one that could undoubtedly advent our every-day lives in the future. We could use our hands as our game controllers, or our arms as a keypad. Virtual reality headsets for computers and consoles currently track our eye movements to control some aspects in a game. What if our eyes could control more? What if we could focus on an avatar within a game and they know and react? Imagine being able to get a close up of an eagle in the Rockies of Canada by just focusing your sight. It’s likely that virtual reality will become more immersive very quickly. With technology adding more experiences for our senses. Full body suits could give more feel and touch sensations, along with temperature. Virtual technology could also deliver smells and air movements, so we can honestly feel like we are by the ocean, or next to a volcano. The opportunity for virtual tourism is enormous. With thousands of applications, games and videos already available the battle to create the perfect experience is on. Virtual reality full body suits could again emerge in this sector, so you can feel you are swimming in the ocean or lying on a warm sand in the Carribean paradise. Imagine being able to experience the sights, sounds, and smells of every big city in the world in just one day, from the comfort of your own house. Test drive your next car, or view your next home in virtual reality? Very possible. Augmented reality might also add you an estate agent, or sales rep, in your own home. The famous British designer, Burberry, has started offering a virtual reality shopping experience back in 2015. Customers of their flagship store in London can walk into a changing room, and with a use of an iPad, they can see how clothes would look on them. Some shops already offer a service, through which you can place an object of your choice in your house in virtual reality. This way, before purchasing anything, customers can experience the ‘real feel’ of an item in virtual reality. Virtual reality games aren’t yet the full, in-depth, multi-action titles we see for consoles today. You can’t, however, play Counter-Strike or Call of Duty in virtual reality. Not yet, but not far off. 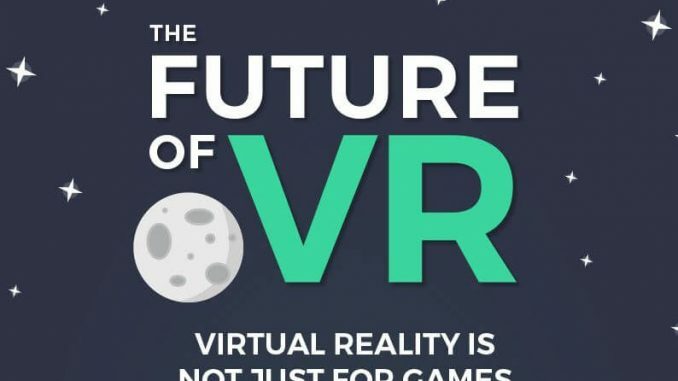 With the VR technology improving, the gaming industry will be one of the first ones to implement new changes and look for even more advanced solutions. Believe it or not, there is only one full cinema in virtual reality. But, we know the big movie studios are working on it. It could just be a matter of a few years, or less, before we get a significant movie title in full virtual reality hitting some of the biggest names in the cinema industry. Amsterdam-based VR cinema offers a full virtual reality experience, but the repertoire is still limited to just a few choices. What if you could attend a business meeting in virtual reality without ever leaving your house or office? Or, that you didn’t have to travel across town to school each day – you could roll out of bed and join your first lecture in full virtual reality. This evolution will strengthen the already popular remote working, with companies all over the world being able not just to talk via Skype but also to be in the same virtual room. Another aspect of technology which is growing apace. We talked a little about virtual reality guides, but this also applies to avatars, characters within games. How truly immersed would we be if virtual characters within our games or applications could intelligently speak with, and interact with, us? This is what artificial intelligence has for us – the ability to communicate with objects. Will VR Be an Entire Computing Experience? There are some who believe virtual reality could replace our everyday computing. Facebook CEO Mark Zuckerberg is one, probably why he bought headset maker Oculus Rift. The theory is that stepping into virtual reality could be the way we communicate, do business, and entertain ourselves one day. Without a need of seeing people in person. When Is the Future of Virtual Reality Coming? Who knows which technologies will hit the market first? It could be any, all, or none of the above in the next ten years. 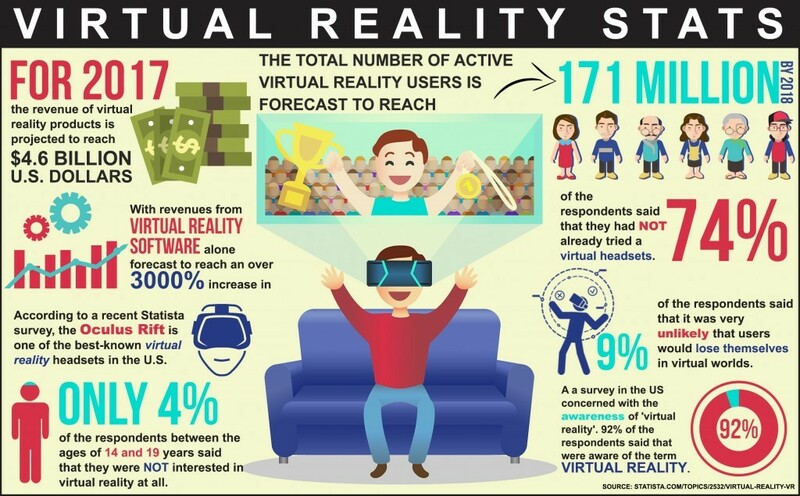 The virtual reality market was worth $1.9 billion in 2016 but is expected to reach a value of $22.4 billion by 2020, combined with augmented reality the prediction is that virtual reality will be worth $121 billion by 2021. This on its own showcases that virtual reality will grow significantly. While we are still years away from fully functioning within virtual reality, all signs are pointing that way. Virtual reality in the future is both promising, but it also poses many challenges and ethical concerns. From how are we going to interact with each other, to addiction and a relationship between humans and robots. However, only the future will tell.